Poul Nørreklit for Älgarås, Sweden. 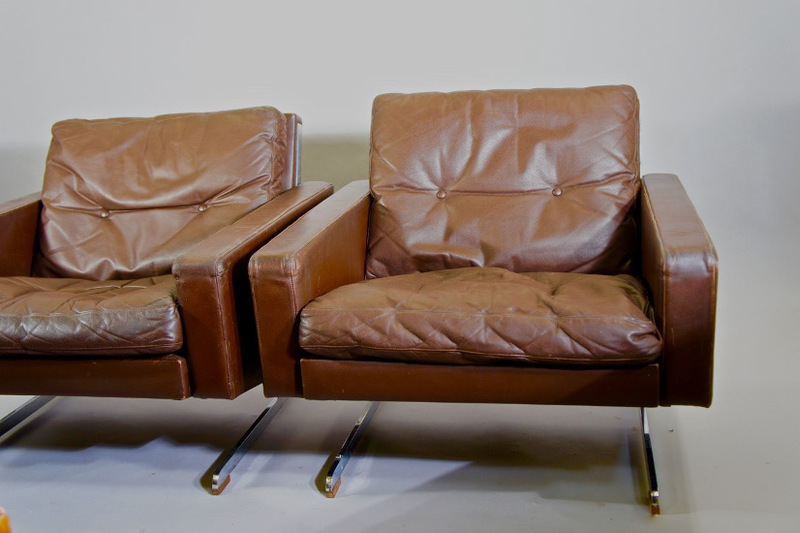 A pair of easy chairs bourgogne red leather and legs in crome steel. W 77, d 85, h 70 cm.